Horror Avenue is a name well known in it’s home town of Chicago and throughout the Horror Community around the world! Originally founded by Andrew Martinek, Horror Avenue’s focus was on Production & Promotion of live music events in the Metal & Punk genre’s and screen printing T-Shirts for the music community and Chicago based horror film festivals! After several years going strong, Andrew’s time wore kind of thin and he had to do what so many of us have to in life, pick your priorities. For the last two years in operation, Horror Avenue only did screen printing exclusively for The Indie Horror Film Festival & The Chicago Horror Film Festival. At the end of that two year run, Andrew decided it was time to close up shop and sold the entire Horror Avenue stock to Breaking Fate Entertainment (producers of the film festivals). BFE continued to sell out the remaining T-Shirt stock for a couple years before it was all gone. BFE president Willy Adkins, has decided to bring this infamous name within the horror community back to life as a Horror News website! The website began to feature Horror genre film, music and entertainment news. BFE also began producing some various events under the Horror Avenue name, including The Horror Avenue Film Festival as an annual event to feature Independent Horror Films and Entertainment! In 2018, Breaking Fate Entertainment began to downsize in preparation to relocate to Tennessee and many of the companies various trademark names and events were sold off to other individuals. HorrorAvenue.net, Horror Avenue Film Festival and Horror Avenue TV were all included in this downsizing effort and were claimed by BFE Vice-President Tom McNicholas under a new parent company name, Northern Illinois Entertainment. 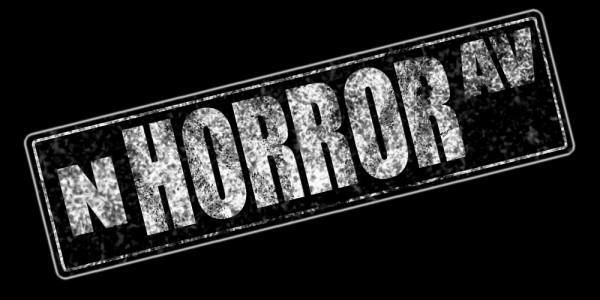 Tom plans to see Horror Avenue into the next chapter of its existence, while still dedicating its purpose to Horror News, Entertainment and Events! Horror Avenue Returns With New Owner! 2018 - 2019 Horror Avenue / Northern Illinois Entertainment / Tom McNicholas. Simple theme. Powered by Blogger.